The Right-Angle series of parts provide the ability of being mounted around corners or in a groove. 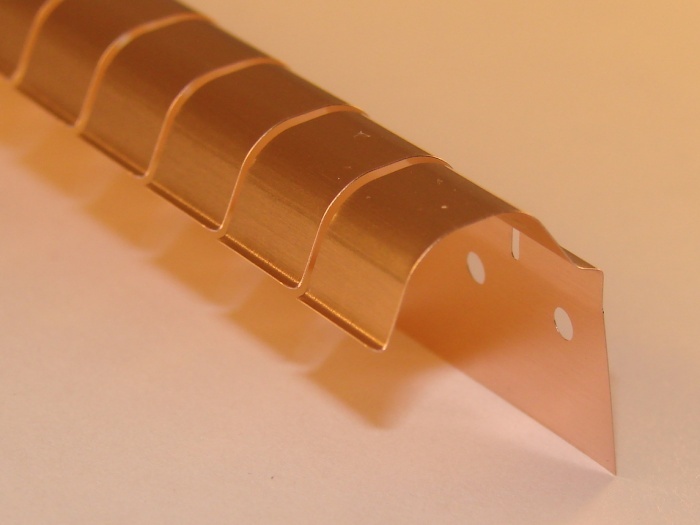 They can also be used for contact with surfaces that are perpendicular or parallel to the mounting surface. Part number 099-705-NT is the largest part in this series, is provided without an adhesive but with mounting holes for mechanical fastening, and is available in a variety of surface finishes to accomodate adjacent surface finishes.